By @SimonCocking. 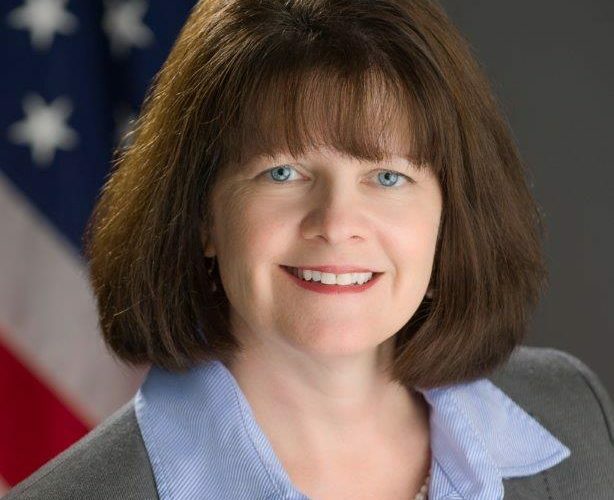 Delighted to bring you this interview with Maureen Ohlhausen Commissioner of the US Federal Trade Commission. Thanks for reaching out for this interview. Ireland is a part of my heritage, as my grandparents are from Donegal. And the rise of the tech industry in Ireland has been a terrific development for that country and for consumers around the globe. So I am very pleased to participate in this interview. I am a lawyer by training and a Commissioner at the Federal Trade Commission in the U.S. The FTC is an independent, bi-partisan federal agency with two complementary missions: antitrust and consumer protection. The FTC’s efforts have significant relevance for the tech industry. In particular, as part of our consumer protection mission, we are the world’s leading enforcer of privacy and data security, with more than 150 such cases involving online activities. After graduating from law school in 1991, I spent several years clerking at the U.S. Court of Appeals for the D.C. Circuit. I then began an 11-year stint at the FTC in a variety of roles, most recently as Director of the Office of Policy Planning from 2004 to 2008, where I led the FTC’s Internet Access Task Force. I left the FTC to join a D.C. law firm as a partner, where I focused on FTC issues, including privacy, data protection, and cybersecurity. While in that position, President Obama nominated me to be a FTC Commissioner. After the Senate confirmed me, I joined the Commission on April 4, 2012, for a term that expires in September 2018. In my role as a Commissioner, I oversee the agency’s work to protect consumers and competition, which includes enforcement actions, settlements, reports, and advocacy. I meet with industry and consumer groups and also provide views on competition and consumer protection issues through speeches, op-eds, scholarly articles, and interviews like this one! Another major role is interacting with peer agencies in other countries to help encourage pro-competitive and effective antitrust and consumer protection enforcement around the world. How does someone in your position deal with the challenges of a constantly moving landscape in terms of tech innovation and development? The first step is to recognize the limits of regulation. One of those key limits is that regulators simply cannot gather all the information relevant to the problems they are trying to solve. Even when a regulator manages to collect the relevant data, information quickly becomes out of date as an industry continues to evolve. Not only does this make it difficult to understand the present with sufficient detail, it makes predicting the future even more challenging. With this in mind, government officials, like myself, must approach new technologies and business models with a significant dose of what I call “regulatory humility.” This means we must first educate ourselves about technologies and business models, and, most importantly, focus on likely or actual consumer harms, not just hypotheticals. Next, we must evaluate existing tools, such as enforcement actions under existing laws, consumer and business education, and self-regulation, and ask how such tools might address any problem. And if regulatory action is necessary, we must focus on those harms while seeking to minimize industry costs and unintended consequences that are a drag on innovation. Many tech companies, sometimes implicitly rather than explicitly work on an ‘act first apologise later’ approach when using consumer data – is this a problem you encounter often, or have things changed? There definitely has been much industry progress. Some companies still fail to give consumers appropriate notice and choice about the personal data they collect and how they will use it, however, which is concerning. At the FTC, our approach to privacy seeks to ensure consumers have the information they need to make informed choices about their personal information and that companies respect those choices. Another goal is ensuring consumers don’t suffer substantial injury that they can’t avoid and which doesn’t provide benefits on balance. We use our enforcement authority to ensure this happens. Our role is not to take choices away from consumers, however. Also, we want to avoid requiring companies to get *government* permission before innovating. Such a precautionary approach does not make consumers better off. Congrats on being ranked on the Onalytica list – where did it all go right? I’m not exactly an overnight sensation, having worked in these areas for decades. I believe outreach is an important role for me so, in addition to articles and speeches, I’m active on Twitter, participated in several Google Hangouts, and a reddit AMA. I was recently was a guest on the start-up-focused podcast, “How We Manage Stuff”. So it’s great to have made Onalytica’s list. What trends are you excited / concerned about in relation to data and the work you do at the moment? When I look at the way Big Data and the Internet of Things are already spurring innovation, revealing new insights about our world, and improving safety, just to name a few benefits, I am quite optimistic. Data analytics is simply a tool, however, which can be used for good or ill. I am concerned about updating our privacy frameworks to allow the good uses, while honing in on the possibly bad uses. It is critical for companies to implement reasonable protections for consumers’ personal data. This includes creating a company culture that considers privacy and security throughout a product lifecycle. Employee education is part of this. Another big part is knowing what consumer information the company has, the sensitivity of that information, how it flows through their enterprise, what kind of access employees and third parties have to this information, and what vulnerabilities could compromise its confidentiality, integrity, or availability. Data can be a valuable asset, but collecting it has costs and risks, too. Considering these costs and risks must be part of the business process. The FTC has many helpful business education resources here. For individuals, education also matters. The FTC offers excellent tools on preventing and recovering from Identity theft, protecting the privacy of children online, and other important topics for today’s connected consumer. I have had some wonderful mentors, such as former FTC Chairmen Tim Muris and Bill Kovacic, as well as Judge David Sentelle. I learned a lot about law and policy from them but, more importantly, about how to treat people. My family is a great joy for me and I try to spend as much time with them as possible. I also like to watch Veep, which sometimes hits a little too close to home. It’s corny but my life – from a little girl in the Bronx to a presidential appointee – is truly an example of the American dream.